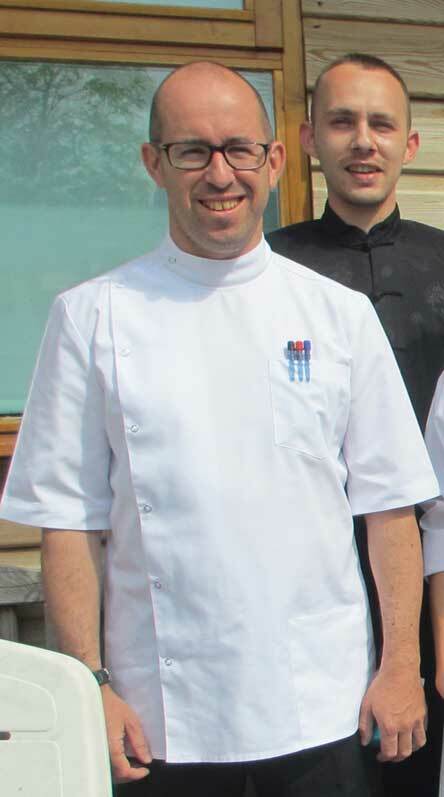 My name is Sean Reidy and i recently completed Tuina Level 1 and Traditional Chinese Acupuncture at Bodyharmonics. I travelled over and back from Nice in France to avail of the opportunity to study and learn from Maria and her team at Bodyharmonics. I came from a sports massage backround with 14 years experience and was always looking for that something extra to take my work to the next level. In the past I spent 4 years working as a therapist for Riverdance and I also worked for the McLaren formula 1 team for 2 seasons. So my backround was already quite strong in terms of treating musculoskeletal injuries. Travelling over and back from Nice was quite a commitment initially, but I now recognise it to have been probably one of the best decisions I’ve ever made. Not only from an educational perspective and financial perspective in terms of increased earnings resulting from the knowledge gained, but I also found my experience at Bodyharmonics to be so rewarding in terms of the enjoyment gained in terms of meeting lots of like minded people and making some lifelong friendships. Maria has a very caring nature and ultimately wants to help you to become the therapist with the highest skill set. She talks about Tuina and acupuncture with a sense of excitement in her voice. Maria in short has taken the best of research and knowledge from Chinese hospitals and is more than willing to pass her skills on. She shares absolute gold nuggets of information in terms of point combinations to resolve what may appear like difficult to resolve or problematic body scenarios. I witnessed several occasions where she demonstrates in front of the class instantaneous relief from acute muscle spasm of the back and neck. These are the techniques that will ultimately take your practice to the next level. From my own perspective in the past I predominantly practiced neuromuscular techniques and myofascial strategies feeling confined to thinking in terms of structure alone. I had little or no appreciation for TCM diagnosis, the role of Qi and the almost magical use of local and distal acupuncture points on the body. In the past I only really felt comfortable trying to influence or provoke positive change to musculoskeletal issues. After studying at Bodyharmonics I now am seeing results for a whole spectrum of issues that I had felt in the past were outside my skillset. My friends and family have also benefited greatly. My mothers chronic sinusitis is no longer an issue. Her fluid retention on the lower limbs is now greatly improved. From an emotional perspective many clients and close friends have been impressed with the affect acupuncture in particular has had on anxiety, depression and mental wellness. In short I have no hesitation in recommending Bodyharmonics for any student with an interest in bodywork. Nowadays clients are looking for therapists to not only release a tight back or rid the body of pain. They are also seeking therapists who can actively benefit their state of health, well being and ultimately longevity. If that’s the skillset that is of interest to you, choose to study Tuina and Acupuncture at Bodyharmonics. Hope you and the family are all well and healthy Maria and I look forward with anticipation to studying again with you in the near future.